← Film screening of Greyhawk – filmed on the estate! 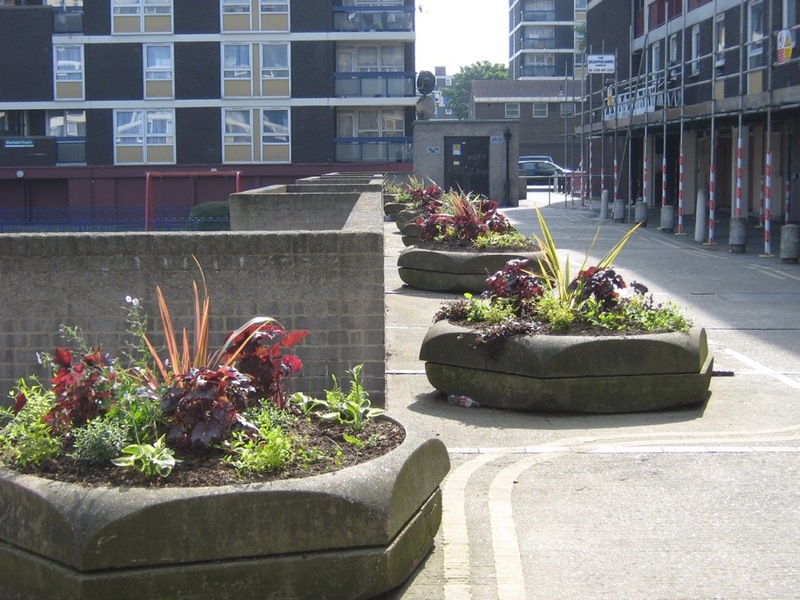 In 2008, members of the De Beauvoir Estate TRA had the idea to replant the 8 round concrete containers outside St Brelades Court and St Lawrence Court with plants. The containers had been empty for many years and were filled with litter, making them unsightly for residents and passers by and a health hazard for children. The TRA decided to organise a Gardening Fun Day so that residents could come together and choose what plants would be in the containers, help plant them and meet other residents. There would also be activities for children. The TRA applied to Hackney Council for a “Special Projects Grant” to buy the plants and earth, organise the day and also for professional gardeners from Charity Groundworks to advise on what plants would be suitable and prepare the beds for replanting. The Gardening Fun Day took place on a Saturday afternoon and was free of charge. As well as the planting the containers themselves, there was flower pot painting for children in which they were able to paint flower pots and fill them with bulbs and seeds to take home. Refreshments were provided along with tools, gloves, watering cans needed to do the job. The Groundwork gardeners provided help, advice and showed everyone how to use the tools safely. Adults and children from all over the estate attended, some of whom had lived on the estate for years and some who had only moved in a few weeks before. Many people said how nice it was for the containers to be replanted after laying empty for so long and how much they enjoyed meeting their neighbours. In particular, having a joint physical activity meant neighbours were able to work together even though they could not speak each other’s languages. 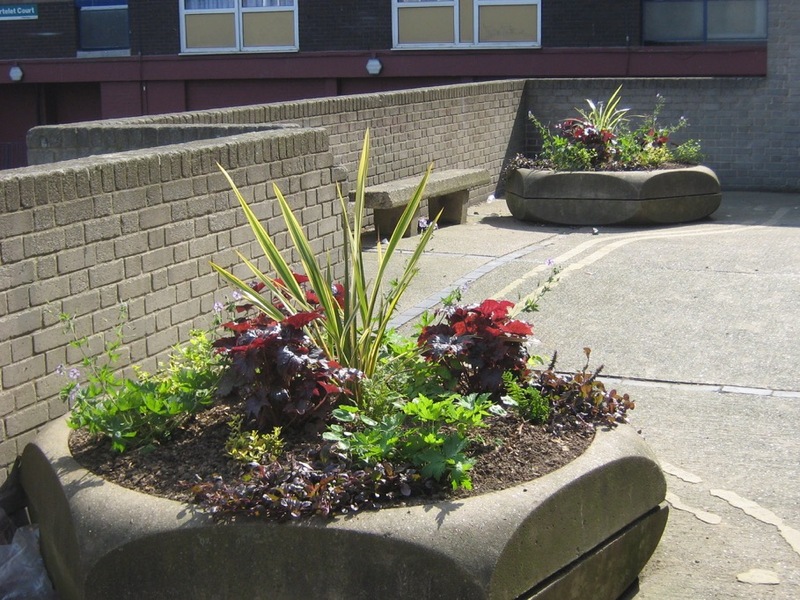 The project was such a success that in 2010 the TRA won another Special Projects Grant to plant out the large rectangular container by St Lawrence Court. They organised a similar Gardening Fun Day to do this which was attended both by those who had attended the previous one and new people as well. Do you have an idea for a project that you would like to organise? If so the TRA would like to hear from you! Contact us here. This entry was posted in News, Projects and tagged Estate events. Bookmark the permalink.